John C. Chang, MD, PhD, presented “MR Guided Biopsy” during the 27th Annual Perspectives in Urology: Point Counterpoint on November 9, 2018 in Scottsdale, Arizona. 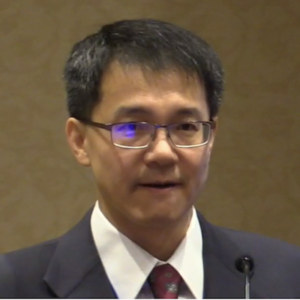 John C. Chang, MD, PhD, compares advantages and disadvantages of MRI-guided biopsy and transrectal ultrasound-guided (TRUS) biopsy. He emphasizes MRI-guided biopsy’s detection rates and its effectiveness in patients undergoing repeat biopsies, while acknowledging its relative inefficiency and limitations in low grade cancers. While transrectal ultrasound guided (TRUS) biopsy is the standard procedure for detecting prostate cancer, MRI-guided biopsy produces superior results. The PROMIS trial shows that MRI-guided biopsy is far more sensitive than TRUS biopsy. The former demonstrating around 88% sensitivity compared with the latter’s 48%. In addition to having greater sensitivity, MRI-guided biopsy better performs in detecting cancers in the anterior prostate. 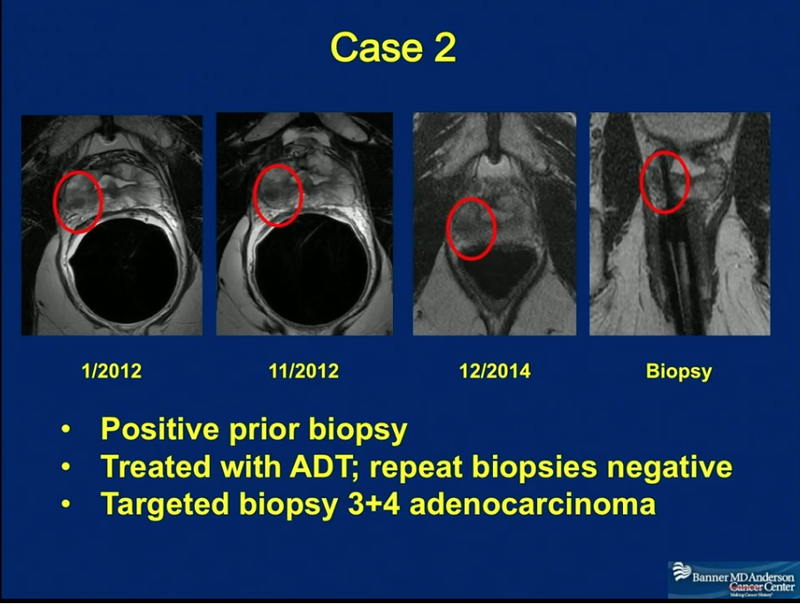 MRI-guided biopsy particularly increases yield in patients undergoing repeat biopsies. With TRUS, the positive rate tends to be lower than 20%, but with MRI-guided biopsy, the yield increases to 30-40%. Therefore, the American Urological Association (AUA) and the Society of Abdominal Radiology (SAR) recommend that patients who have had prior negative TRUS biopsies undergo high-quality multiparametric-MRI. However, MRI-guided biopsy is far from perfect. It misses most Gleason Score 6 cancers and some Gleason Score 7 cancers. A recent study shows equivalence between MRI-guided biopsy and systematic TRUS with a sampling of ultrasound-visible lesions. TRUS also has the advantage of being a standard and convenient procedure, whereas MRI-guided biopsy techniques can be time-consuming, labor-intensive, and more painful for patients. Certain targeted MR/ultrasound fusion systems, such as Invivo’s transrectal MRI biopsy system, may offer a solution to reconciling the pros and cons of each technique. Overall, MRI-guided biopsy allows doctors to be precise in finding and targeting small lesions that are difficult to discover with TRUS. There may be limitations to MRI-guided biopsy, but the benefits to patients make it worthwhile. Perspectives in Urology: Point Counterpoint (PCP) is an annual CME-accredited conference devoted to discussing and debating the latest topics in men’s health, general urology, and genitourinary cancers. The conference’s format includes more than didactic lectures. It also includes debates, point-counterpoint discussion panels, and unique case-based presentations. Dr. Chang presented this lecture during the 27th PCP in 2018. Please visit this page in order to register for future PCP meetings. Dr. Chang is a radiologist and cancer center physician at the Banner MD Anderson Cancer Center in Gilbert, AZ. He work in general radiology, focusing on body imaging and innovative business development. He is also a member of the adjunct research faculty at Arizona State University in Tempe, AZ, where he participates in research related to radiation dosimetry and compressed sensing. Dr. Chang received his MD and a PhD in Electrical Engineering from the University of Illinois at Urbana-Champaign. After receiving an Internal Medicine Internship from the University of Illinois College of Medicine in Chicago, he went on to a Diagnostic Radiation Residency and a Body Imaging Fellowship, both at the Stanford University Medical Center in Stanford, CA. Dr. Chang’s current research, both independent and through Arizona State University, focuses largely on the application of nanoparticles in cancer therapy and diagnostics as well as in radiation detection. His other research interests and projects include multiparametric MRI for cancer diagnosis and treatment response assessment, the application of intravoxel incoherent motion components for tumor assessment, and nonspecific quenching of quantum dot with small molecules as well as methods of specifying quenching.